I am currently writing a series of articles for a Chinese produced magazine which targets wildlife conservation. As you may guess, they started with Panda conservation, so the magazine is called Giant Panda, but they are running a series on over exploitation of natural resources. Which is where I come in, contributing a series on fisheries. Over the next few months I will post abridged versions of these articles here. The first, as the title suggests, is about overfishing. It shouldn’t be a surprise to most people that many of the world’s fisheries are overexploited. Most of the world’s population eats seafood. In fact, the amount of seafood that each person eats, on average, has risen to 19.2 kg per person per year, with over 1 billion people relying on seafood for their primary source of protein. This means that seafood is an extremely important part of our lives. The problem is that over 90% of the world’s fisheries are either fully exploited or overfished (FAO 2014 report on the global fisheries), meaning that if we take any more from those fish stocks they will collapse, perhaps forever. Overfishing has a long history. 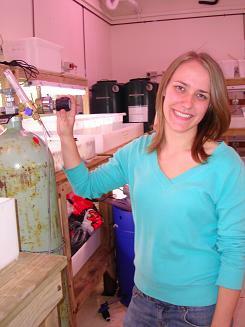 One of the best documented cases of a fish stock collapse is that of the Atlantic Cod. When the fishery was discovered in the late 1400’s the cod were so plentiful that it was assumed that the stock was unending. There are stories of people dipping a basket into the ocean and pulling it out full of cod! Catches of cod steadily increased from the early 1500’s, supplying a major proportion of the world’s protein, but were relatively small until industrialisation meant that catches increased dramatically. In the late 1960’s the annual catch peaked at over 1.5 million tonnes, an unsustainable catch. Years of overfishing caused the stock to collapse, and despite ever-improving fishing technology and manpower, the catches continued to decline until the fishery was forced closed in 1992. By that time, the total biomass of cod remaining in the Atlantic was estimated to be less than 1% of the original stock, and still has not and may never recover. (for a great read on this topic pick up the book “Cod: A biography of the fish that changed the world” by Mark Kurlansky). The most important lesson to learn from the Atlantic Cod fishery is that any fishery which is overfished can and will collapse. In the last decade alone, many important fisheries have been listed as overfished, including the Largehead hairtail (Trichiurus lepturus), of which over 1 million tons is caught in Asian waters annually, the Mediterranean hake (Merluccius merluccius) and red mullet (Mullus barbatus), Cunene Horse Mackerel (Trachurus trecae), White Grouper (Epinephelus aenus), a number of shrimp species, the list is extensive, and most countries in the world feature at least one fishery. As mentioned above, over 90% of the world’s fisheries are already heading in the direction of being overfished and without good management they too will collapse. Unfortunately, the true frequency with which fisheries collapse can be masked by catch statistics. Global annual fisheries production has been relatively stable since the 1990’s. On the surface, it would appear that fisheries are well-managed and sustainable. What happens in reality, however, is that as we overfish one stock and it becomes unviable, either economically or biologically, so it is replaced by another, new fishery. So, the overall global catch stays the same but we have simply shifted the damage. Usually this means that we are doing something known as “fishing down food webs”, whereby we overfish one stock and then move on to fish a different species further down the food web, often the food of the species that is now over fished! This leads to a situation where the productivity of the oceans as a whole has reduced because the catch is now coming from a previously unfished source. Over time, this continual overfishing causes not only a decline in fish abundance but also massive damage to the ocean ecosystems (which will be topics of future articles in this series). Overfishing doesn’t only impact the particular fish species that is over exploited; it is not simply a matter of thinking “it is only one fish species, we will do better next time”. Removing a species from an ecosystem is like removing one cog from a finely tuned machine – it stops working properly. This is especially the case because many of the species that we prize play critical roles in regulating the function of ecosystems. When these species are removed from the ecosystem it begins to become unwell, not providing all of the ecosystem services that we take for granted. Then, as we fish down the food web and remove more species, the ecosystem degrades further. A very good example of this is shark fishing. Sharks are usually the top predators in ecosystems and control how it functions. 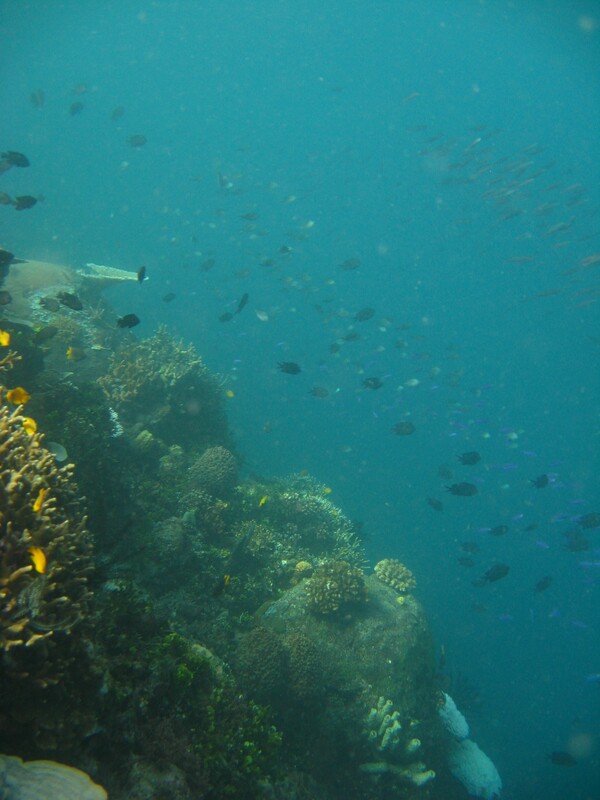 To be healthy and function properly, marine ecosystems need these top predators. However, nearly all shark fisheries in the world are over fished, with some species of shark becoming extremely rare. As most species of shark are long-lived they tend to be particularly susceptible to over fishing, and the only way that their populations will recover is by not fishing them. 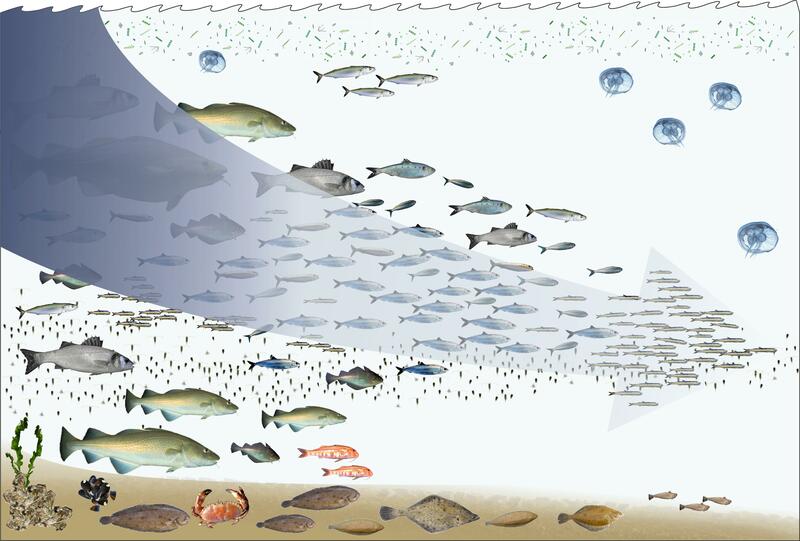 Indeed, some of the most dramatic changes we see in ecosystems are because of over fishing. A good example from colder oceans would be the overfishing of large predatory fish such as snapper, which are prized by humans to eat, allowing species like sea urchins to become overly abundant because normally the predatory fish would keep their numbers in balance. While sea urchins are a natural part of the ecosystem, in large numbers they completely consume kelp forests, which are the base of the food chain and removing them causes the loss of hundreds of species. Unfortunately, these are not isolated examples, and every country in the world has examples of ecosystems which are degraded by overfishing. The answer to this question is that they actually are sustainable, as long as we do not take too much. In fact, the goal of fisheries managers is to maintain catches at the Maximum Sustainable Yield (MSY), or the catch that you can take from a particular fishery forever. In its simplest form, the MSY is an easy concept – you just need to harvest slightly less than the total number of fish which recruit to the fishery each year. It is, however, exceptionally hard to calculate the MSY for a fishery for a number of reasons, in particular that (1) we cannot know how many fish there actually are because we cannot actually count them all, (2) the number of fish which recruit into a fishery, the number we need to know so that we can set catch limits, is dependent not only on how many fish are in the stock, but also a myriad of environmental factors, and (3) we don’t really know how many fish are being taken from a stock because of unmonitored recreational and illegal fishing. This third pressure can be very problematic as people often take fish that are too small, and taking fish before they are able to reproduce (that is, they are immature) means that they cannot contribute young to the next generation before they are caught. In addition to these factors, governments, businesses and the public in many countries often place immense pressure on fisheries managers and fishermen to take more fish to keep supply high. Ultimately, this proves to be counterproductive as when a fishery becomes fully exploited, catches begin to decline and prices rise. Increasing fishing effort at this point leads to overfishing and extremely high prices, making that particular species unavailable to everyone, from the consumer who can’t afford to buy it to the fisherman who can no longer make a living and also the forgotten victim – the ecosystem itself. Contrary to what we used to believe, the oceans are not an endless supply of resources; the ocean has a limited productivity budget. But, this doesn’t mean that we cannot sustainably harvest seafood from the oceans, we just need to ensure we don’t take too much. What does this mean for the future? At a time when the consumption of seafood is increasing, 90% of the world’s fisheries cannot produce any more, meaning that we need to look to other ways to produce our seafood and reduce consumption. The logical way to do this is through environmentally sustainable aquaculture, or farming of seafood. Aquaculture is already common around the world, making up over 40% of total seafood production, but there is still a lot of room for sustainable expansion. How can you help? The best way to help is to be a discerning consumer. Rather than not eating seafood, ask where it comes from. Is it from a wild fishery? If so, is it sustainably managed? Is the fish you’re eating grown in aquaculture in a sustainable manner? While it may be hard to get the answers to these questions, if you ask at restaurants or where you buy your seafood you will then force the suppliers to ask the same questions. This will then force industries to become more responsible and manage fisheries in a sustainable manner. In some countries, this public pressure has shown to be an effective way to change fishing practices. In the next article I will discuss two different types of fishing, trawling and long-line fishing, and the damage that they cause to marine ecosystems. The secret to scientific success…. This post tackles one of the big issues in science – how to be successful. It turns out that the basic principle is simple, publish. But, there’s some detail that needs to be considered. Most of all, it seems that the earlier you start publishing the better for your career (yes Ph.D. candidates, that means you!). To explain the detail much better than I ever could, I have reproduced a post from a colleague of mine, Prof. Corey Bradshaw (see his blog, Conservation Bytes). He can be controversial, but it gets the point across and it’s fun. His post and blog are definitely worth a read if you want to be successful in science……. This paper is bound to piss off a few people. So be it. This is what we found, regardless of what you want to believe. Led by the extremely prolific Bill Laurance, we have just published a paper (online early) that looks at the correlates of publication success for biologists. I have to preface the main message with a little philosophical discussion of that loaded word – ‘success’. What do we mean by scientific ‘success’? There are several bucket loads of studies that have attempted to get at this question, and several more that have lamented the current system that emphasises publication, publication, publication. Some have even argued that the obsession of ever-more-frequent publication has harmed scientific advancement because of our preoccupation with superficial metrics at the expense of in-depth scientific enquiry. Well, one can argue these points of view, and empirically support the position that publication frequency is a poor metric. I tend to agree. At the same time, I am not aware of a single scientist known for her or his important scientific contributions that doesn’t have a prolific publication output. No, publishing shitloads of papers won’t win you the Nobel Prize, but if you don’t publish, you won’t win either. So today I report the result of our study published online in BioScience, Predicting publication success for biologists. We asked the question: what makes someone publish more than someone else? There are a few possibilities here, with some well-known mechanisms, and others that are only suspected. Using the CVs of 1400 biologists in various disciplines (excluding medical) from four different continents, we measured the number of publications they had written by the time they had completed their PhD and ten years later. We also collected information on the scientists’ gender, whether English was their first language, and the international ranking of the university where they obtained their PhD. Given that our sample included people that stayed in science for at least ten years (i.e., we didn’t include people that gave up their scientific careers in the interim), do males publish more than females? If you went to a highly ranked university for your PhD (e.g., Cambridge, Oxford, Harvard, etc. ), were you likely to publish more than someone who had received theirs from a lower-ranked institution? Most scientific results are published in English these days, so if English is your first language, do you have an advantage and therefore publish more than someone for whom English is a second (or third, fourth, etc.) language? If you start publishing early in your career, does that set the pace for the rest of it? Most will be happy to read that the most important determinant of your ‘long’-term (10-year) publication success is how many papers you’ve written by the time you’ve completed your PhD. This effect increases markedly if we take the number of papers you’ve published three years after PhD completion as a predictor. To make the point again that publication output is a reasonable metric of ‘success’, we also found that it was highly correlated with the ten-year h-index of the scientists for which we had data. But there were other effects, albeit of lesser importance. Yes, even after removing the well-known ‘attrition’ effect of female scientists (i.e., leaving their careers earlier than males), men tended to publish a little more than women. There are many potential reasons for this, including still largely male-dominated academic and publishing systems, misogyny and the extra constraints of child rearing. We still have a long way to go here. English as a first language also gave scientists a publication advantage as hypothesised, although the effect was weak. Possibly one of the most interesting results was that PhD-university ranking had absolutely no discernible effect on publication output, regardless of which ranking metric one uses. There a few take-home messages in all of this. First, if you are a PhD student and/or early-career researcher, make sure you put the effort into getting those first papers out. Second, if you’re considering people to hire for a new position and you’re taking a gamble on their potential to publish, you should perhaps place a strong importance on their publication output to date (all other considerations being equal). However, employers should NOT choose men over women, nor should they blindly hire people with English as a first language. Case in point is that most of my lab’s best and brightest are early-career women from non-English-speaking countries. The gender and language effects were weak at best, and nearly disappeared once we considered the data three-years after PhD completion. Finally, if an employer is considering choosing one of two recently completed PhD students for a postdoctoral position, and the one from the higher-ranking university has fewer publications than the other from the lower-ranked institution, my advice would be to choose the latter (all other things considered being equal, of course). Maybe students (and their parents) should also put less emphasis on university ranking and more on the people with whom they will be working when considering where to do their postgraduate studies. 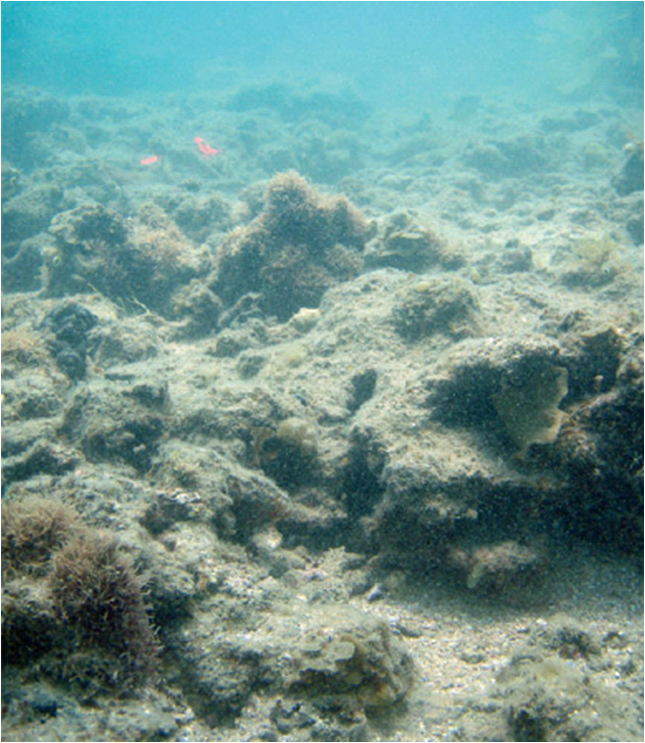 Recovery of seagrass from overgrazing depends on species morphology. Following on from my last post on how sea-urchins alter how much they eat in response to nutrients and CO2, here Owen Burnell describes his latest paper (in as many months!) that shows why Amphibolis antarctica and other morphologically similar species of seagrass may be so susceptible to grazing. Sea urchins are important marine invertebrates, which in many parts of the world can shape sub-tidal habitats via their grazing. In South Australian seagrass meadows the short-spined sea urchin Amblypneustes pallidus generally occurs in low densities, however, population increases of the species have recently been documented by researchers at The University of Adelaide. 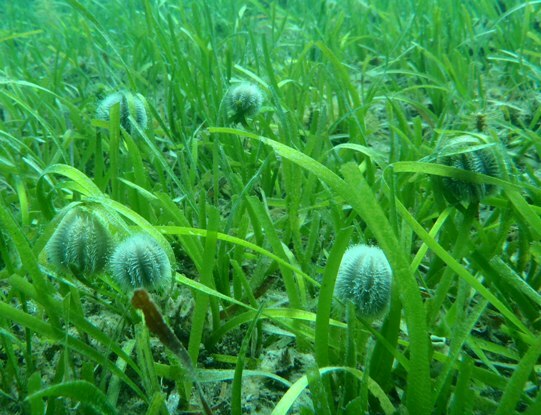 It was observed that the grazing activity of these urchins was impacting seagrass meadows, in particular the species Amphibolis antarctica, when compared with adjacent Posidonia spp. By manipulating urchin density to measure seagrass loss and then simulating urchin grazing to study seagrass recovery, we found that while urchins grazed equally upon both seagrass species, Posidonia sinuosa recovered much faster from simulated grazing than Amphibolis antarctica. 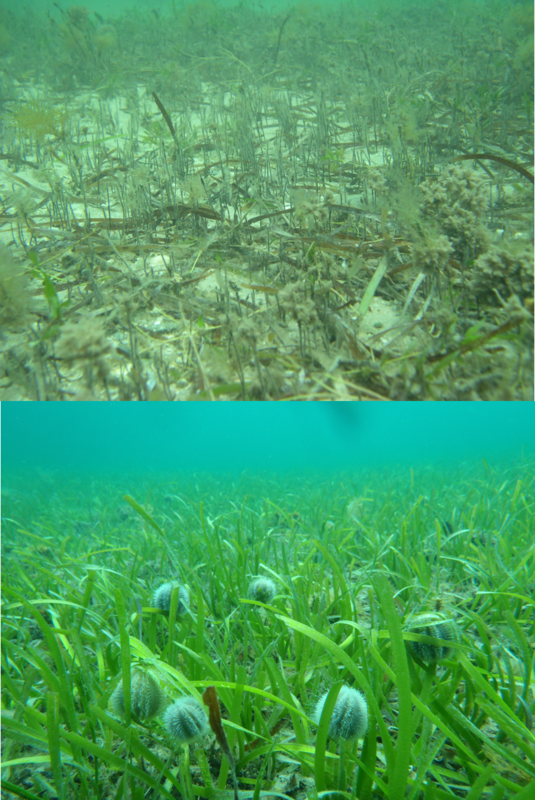 It appears the different morphology of these two seagrass species, in particular the meristem location (or centre of growth) of Amphibolis spp., which is elevated within the canopy and thus exposed to grazers, is likely to be the cause of these asymmetric grazing impacts. In essence, if the urchins eat the meristem that seagrasses grow from they don’t recover as quickly! While sea-urchins are by no means a rampant force destroying local seagrass meadows, population expansions such as these are important to document, particularly if they have deep seated connections with changing trophic interactions or urchin fecundity. In many marine systems worldwide population expansion of macro-grazers such as urchins can be linked to over-exploitation of their predators (e.g. fish or crustaceans, or before their protection, sea otters!) or changes to temperature that affect their reproduction and metabolism. The persistence of seagrass meadows reflects variation in factors that influence their productivity and consumption. Sea urchins (Amblypneustes pallidus) can over-graze seagrass (Amphibolis antarctica) to create sparse meadows in South Australia, but this effect is not observed in adjacent Posidonia sinuosa meadows despite greater densities of inhabiting urchins. To test the effect of urchin grazing on seagrass biomass, we elevated the density of urchins in meadows of A. antarctica and P. sinuosa and quantified seagrass decline. Urchins removed similar amounts of biomass from both seagrass species, but the loss of leaf meristems was 11-times greater in A. antarctica than P. sinuosa. In a second experiment to assess the recovery of seagrass, we simulated urchin grazing by clipping seagrass to mimic impacts measured in the first experiment, as well as completely removing all above ground biomass in one treatment. 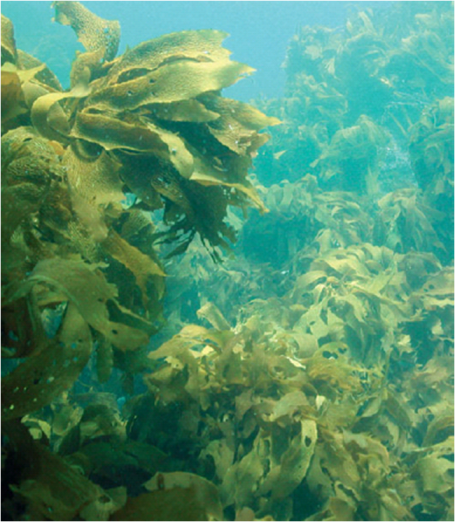 Following simulated grazing, P. sinuosa showed a rapid trajectory toward recovery, while A. antarctica meadows continued to decline relative to control treatments. While both A. antarctica and P. sinuosa were susceptible to heavy grazing loss, consumption of the exposed meristems of A. antarctica appears to reduce its capacity to recover, which may increase its vulnerability to long-term habitat phase-shifts and associated cascading ecosystem changes. Following up on an earlier post about how hard body parts can be used to reconstruct environmental signatures, Dr Zoe Doubleday and her team have identified the relative contribution of water (that the fish are swimming in) and diet to otolith (fish ear bones) chemistry in freshwater fish. Now I know that this isn’t strictly a study about oceans, but the techniques and findings of this paper are extremely useful if you want to do this in the ocean as well! See her report below. Otolith chemistry is used extensively around the world to address key questions relating to fish ecology and fisheries management, particularly in marine systems. Nevertheless, there is limited research on the relative contribution of water and food to elements within otoliths. 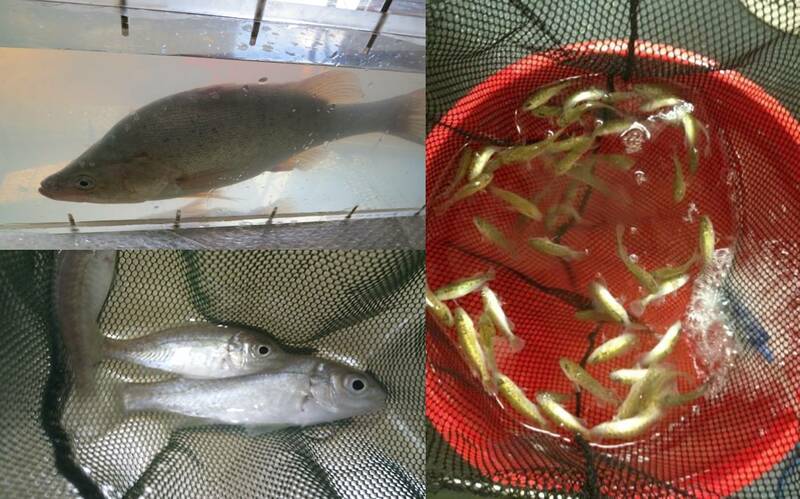 Using a controlled lab experiment, researchers at the University of Adelaide sought to address this gap by explicitly testing the relative contribution of water and food in three iconic Australian freshwater fish species — silver perch, golden perch and Murray cod. Water was found to be the key, but not sole, contributor to otolith chemistry in all fish species. This research will improve interpretation of otolith chemistry data in freshwater fish and will help to build a more accurate picture of their movements and the environments they inhabit.